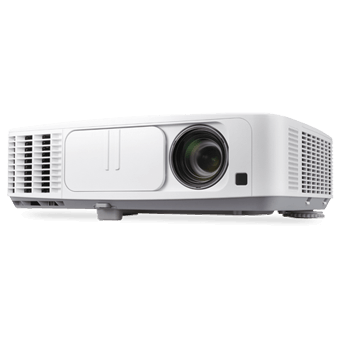 Projector Hire M311xg For most business and education users, the number one feature to look out for in a data projector hire is brightness, because a lot of times, it’s neither possible nor practical to have a darkened room. In fact, some presenters rather have all the lights turned on, so that they can maintain eye contact with their audience. The NEC M311X (the exact model number for those interested: NP-M311XG) that we’ve here fits the bill to a T with its 3,100 lumens maximum light output. A 3LCD projector with a native XGA resolution (that’s 1,024 x 768 pixels), it’s also equipped with a generous 1.7x zoom lens and an HDMI video input.